To help you make the most of your visit, we have selected all-inclusive bundles that allow you to stay connected and enrich your discovery of Paris and its region. Discover Travel Wifi and Insidr to stay connected throughout your stay and fully enjoy Paris Region. The INSIDR Smartphone gathers the best applications to enjoy the city, as well as a real-time chat feature to connect with a community of local experts and the INSIDR team. Travellers can share all their questions and seek advice to the local community. 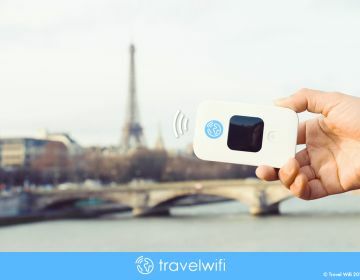 Rent your pocket wifi for your trip and enjoy your wifi connection anywhere in France and in Europe!